NOTE: You won't believe how good this is for something that is so quick and easy. 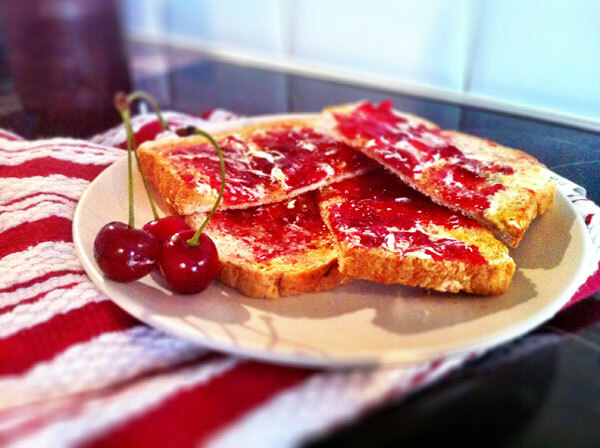 Cherries are not always the first fruit you might consider for jam but they are one of my favourite. You can complicate matters by fiddling about with pectin or apple juice but this tastes just as good using jam sugar... it's not cheating honest. This make one standard jar but just multiply the ingredients to make more.